We believe that the most important part of what we offer is the support and training we provide after the sale. We hold that if we are able to be successful, our customers must properly use the products they purchase. 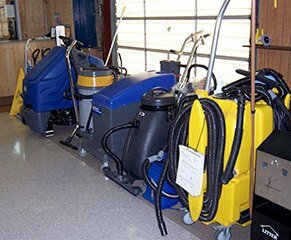 Smith & Jones Janitorial Supplies & Equipment, Inc. of West Columbia, SC will train your employees to maximize the chemical usage and reduce the amount of waste that goes into our water systems and landfills. We use both classroom and hands-on training to ensure the correct use of all cleaning products and equipment.